On January 2, 2018 our TOSS Team kicked off the New Year by making our very first delivery to a school in Morocco. 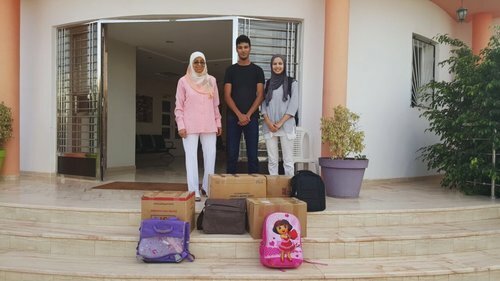 Ibn Batouta School, the first recipient school, was so happy to receive school supplies from The Ajial Alhouda School, which was our first Moroccan donor school. Bringing TOSS to the global community was an idea that at first we could only dream of. Now, we are able to bring these ideas to fruition and we can't wait to continue to work with these beautiful schools in the future. TOSS Morocco Team at The Ajial Alhouda School, the first donor school. First TOSS Morocco recipients at The Ibn Batouta School.